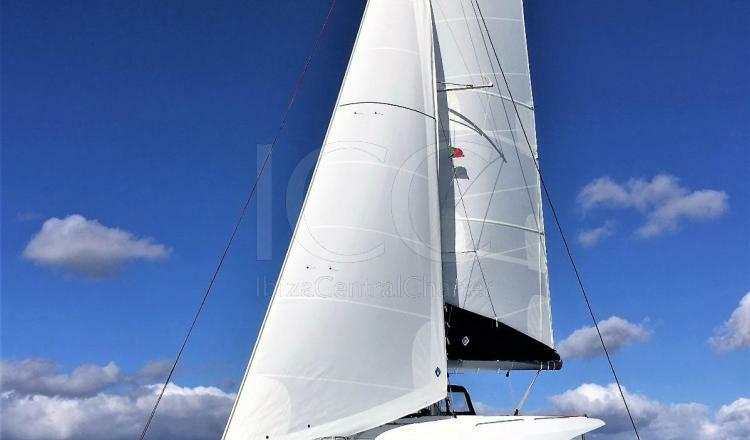 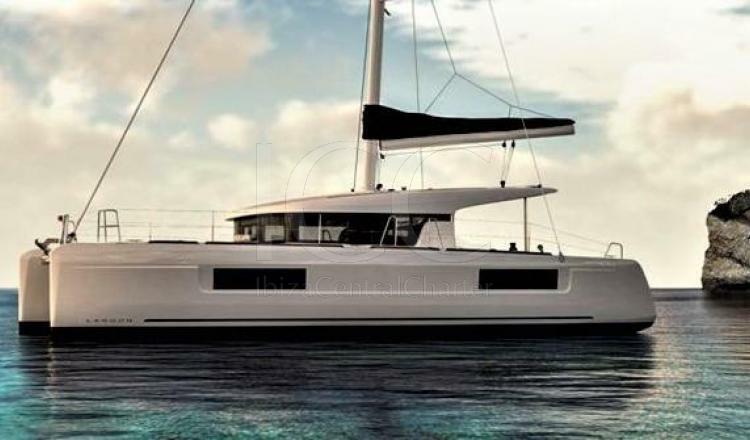 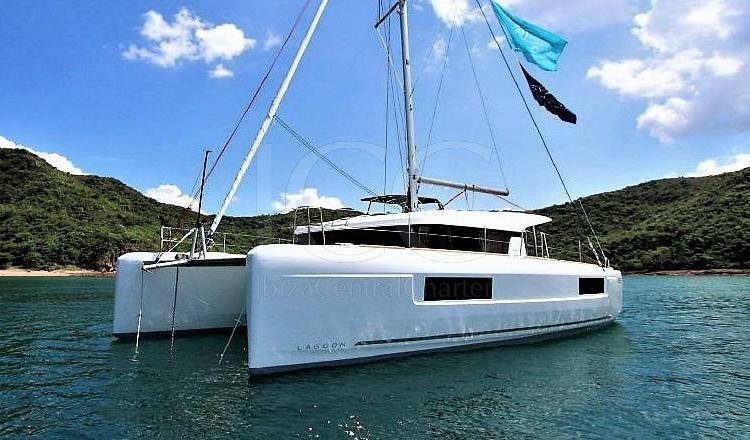 Spectacular sailing catamaran 12 meters length and 7 meters beam, four cabins and four fully equipped bathrooms. 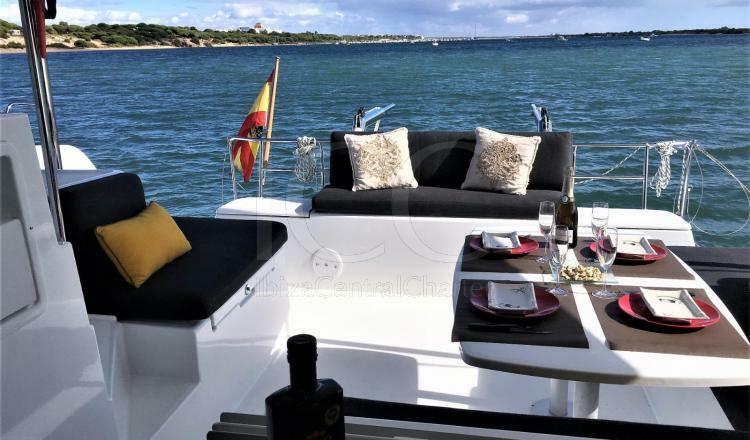 Perfect for families or groups of friends who want enjoy an unforgettable holidays in Ibiza and Formentera. 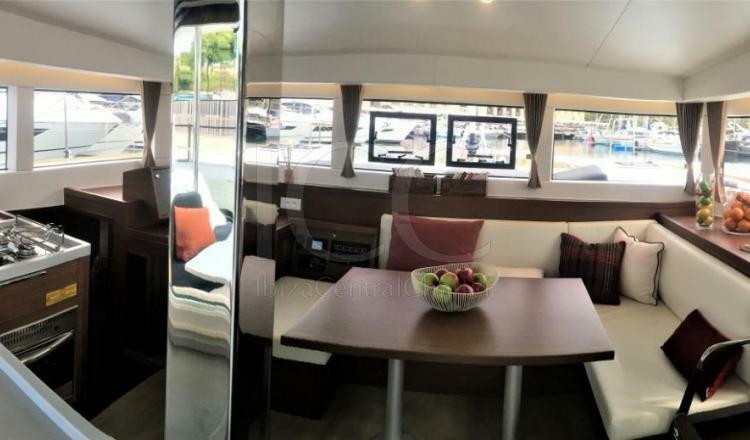 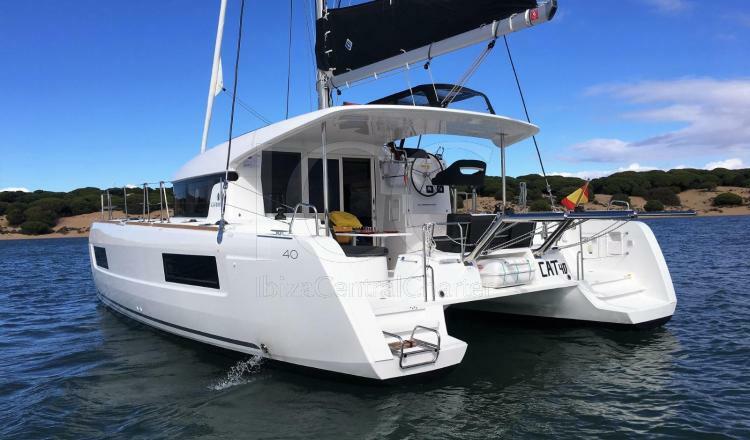 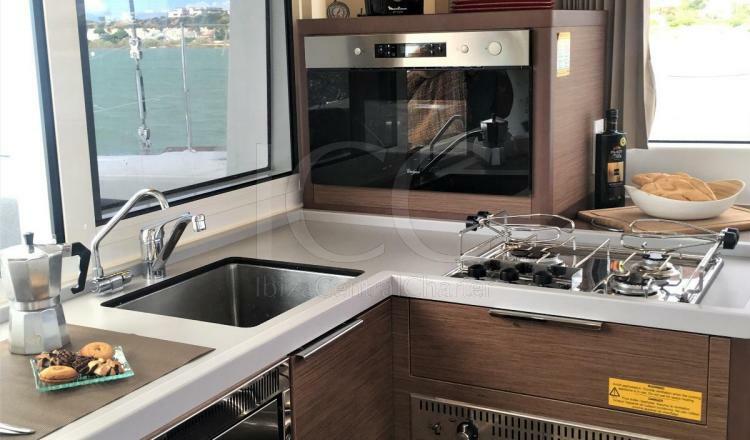 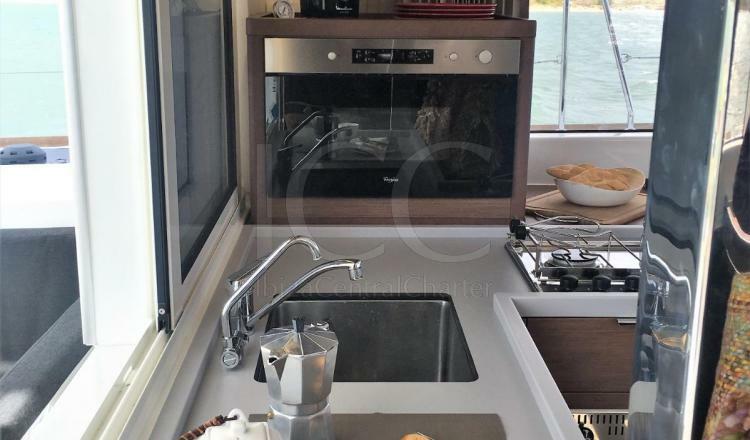 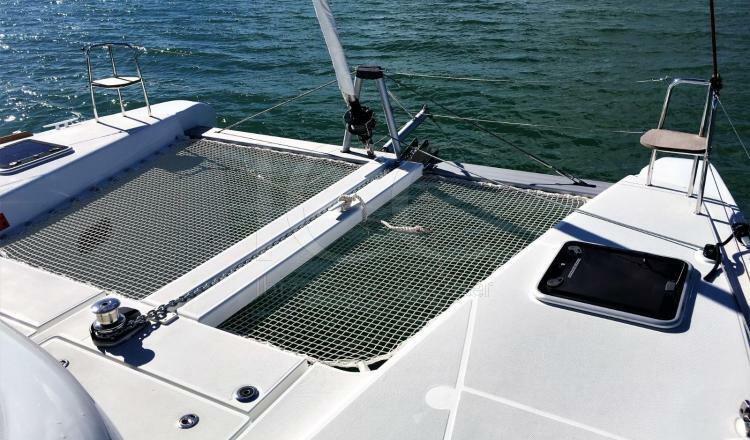 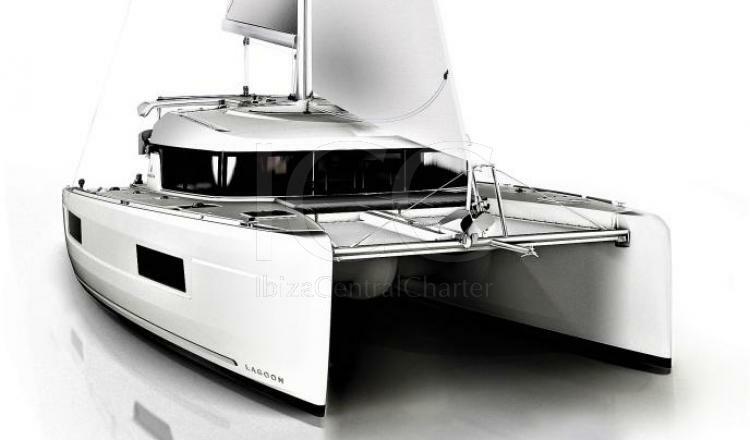 The Lagoon 40 catamaran, is a spectacular boat with which to enjoy the sea during your holidays. 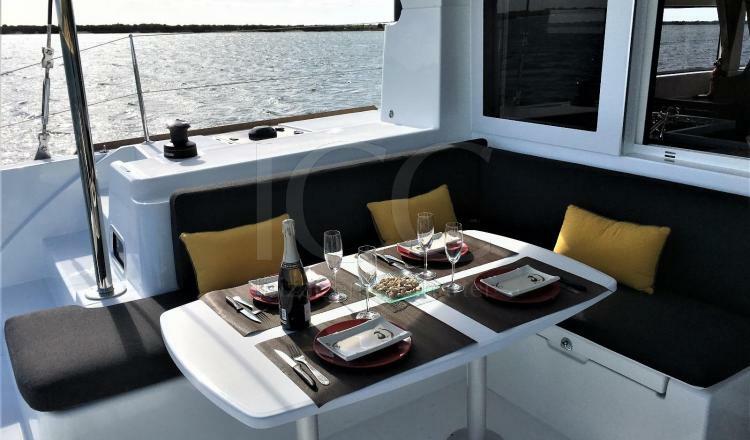 With space for up 10 people during a day charter, it houses space indoor to accommodate up to 8 people at night. 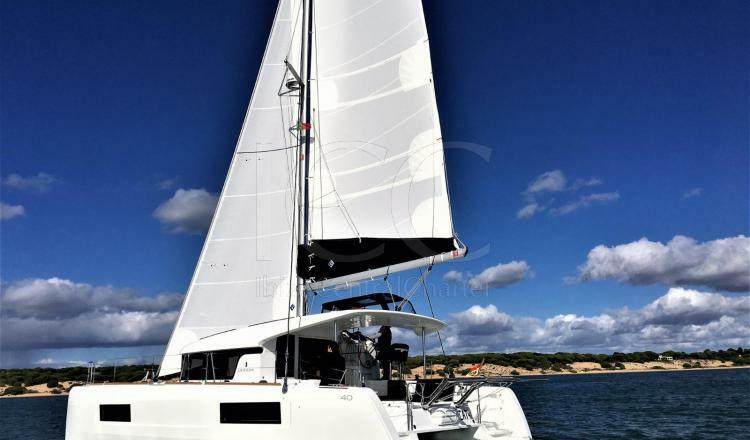 Nautical holidays is a kind of tourins that everyone should try once in its life, and this catamaran makes the experience unforgettable. 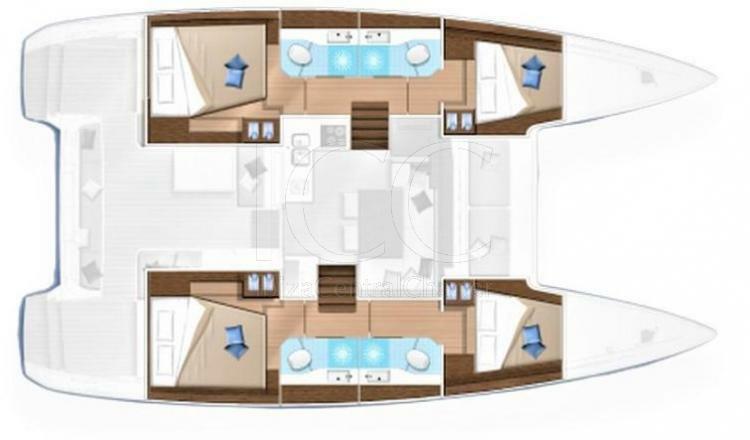 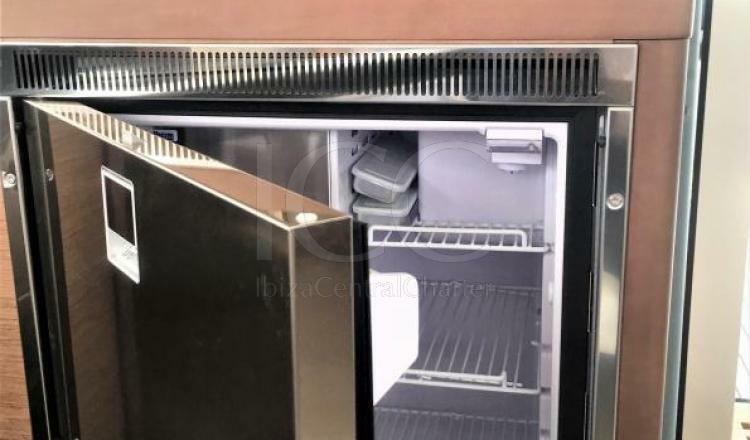 Thanks to its equipment, in its interior four double cabins; two equipped with double bed and the others two with two single beds each. 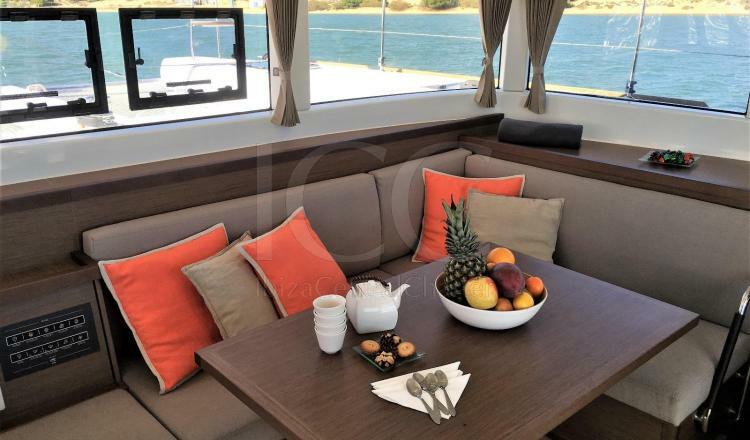 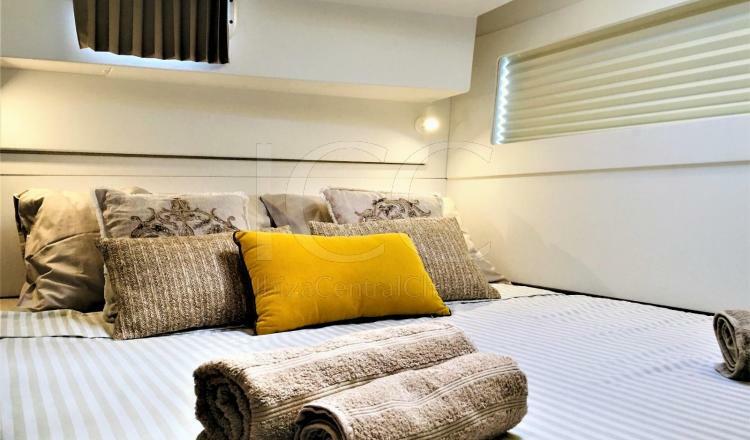 That make the catamaran perfect space for holidays with families or friends. 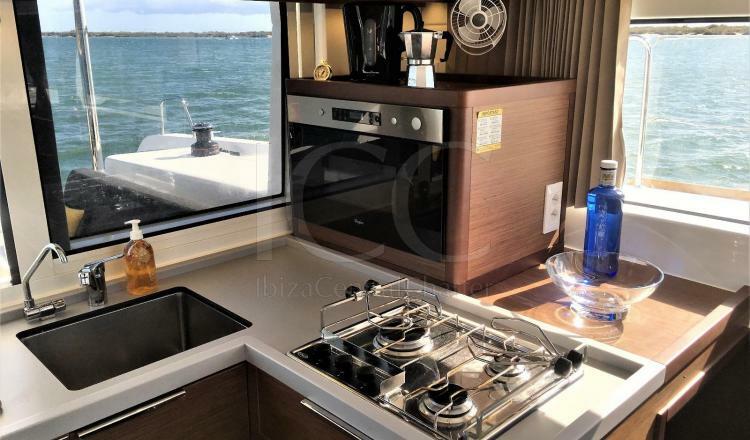 It also has two bathrooms, a living room and a kitchen. 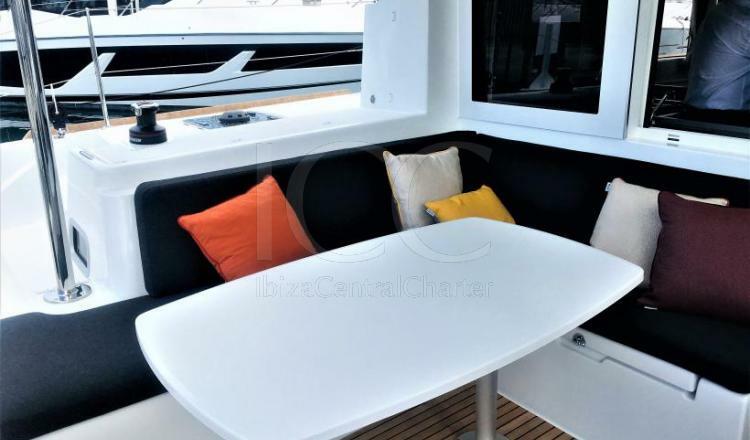 In its outdoor area the Lagoon 40 offers space to relax and rest, its wide net of stern is perfect for tanning with the best panoramic views of Ibiza and Formentera paradise. 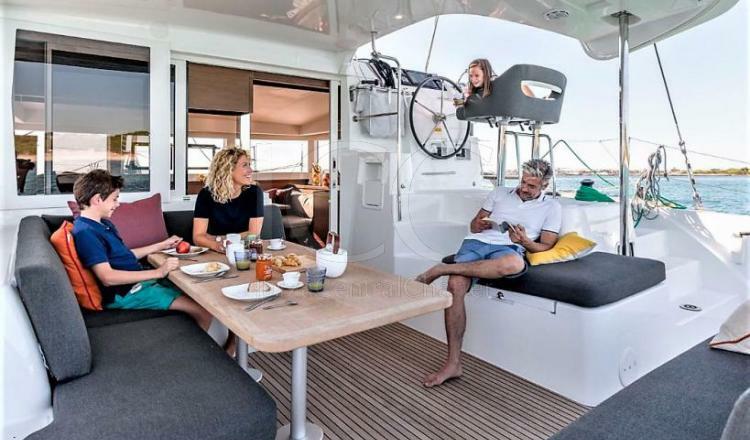 Cockpit equipped with comfortable sofas and picnic table get that all the passengers do not miss a restaurant and its views because the calm, good views and your favourite foos is secured on board. 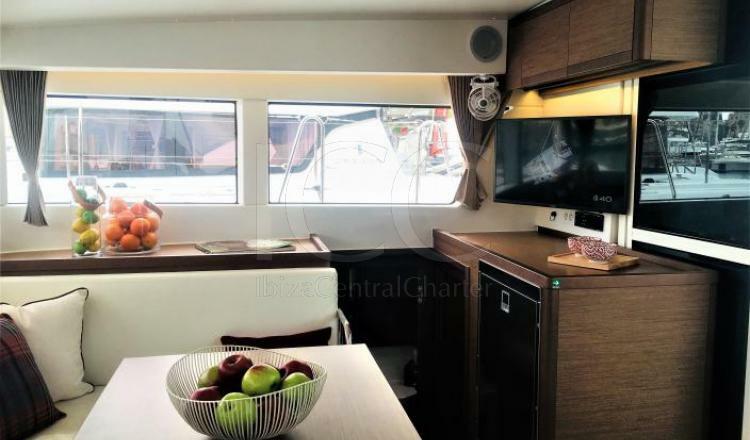 50 % for reservation- 50% 30 days before embark.